Original painting is 24 X 30, oil on gallery wrap canvas (2 in deep) painted on sides so there is no need to frame and no frame is included. 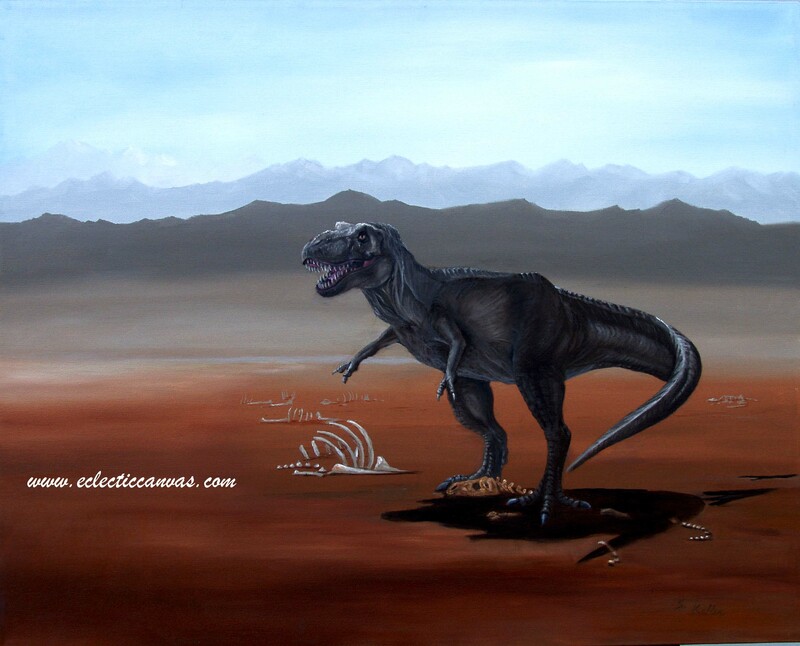 It depicts a Tyrannosaurs Rex, maybe Sue, as she once was with more flesh. This painting received a merit award in October, 2005 at the Naperville Art League.